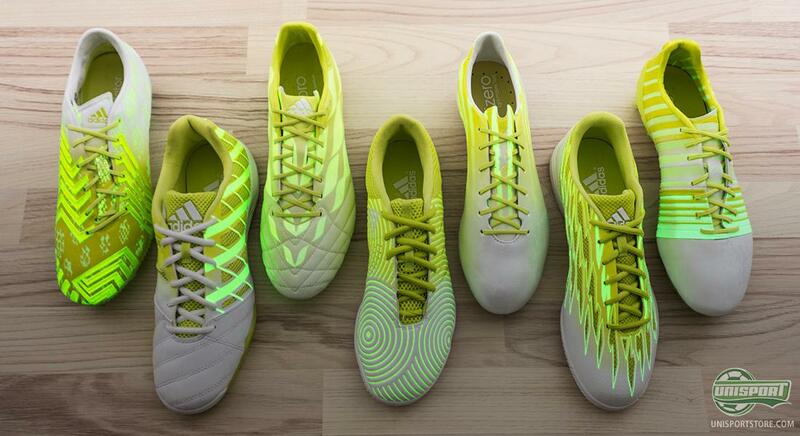 Recently adidas presented the Hunt Series; a collection of boots with a glow in the dark upper. But adidas didn’t just limit the design to just football boots. 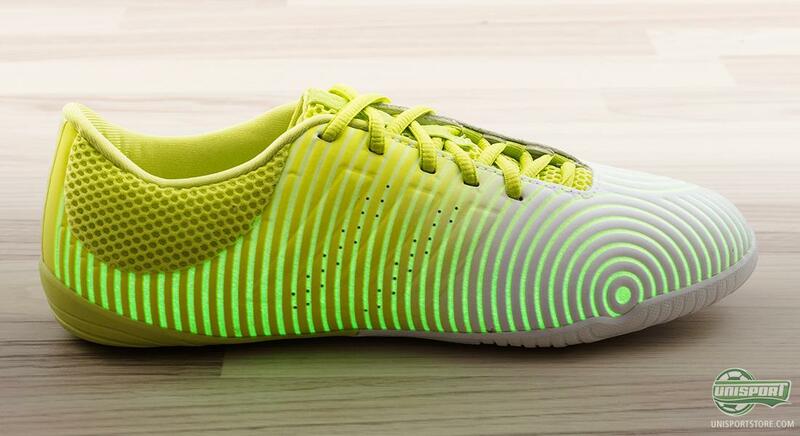 They will be lighting up the streets with their Free Football Collection of indoor- and street shoes with the unique design. 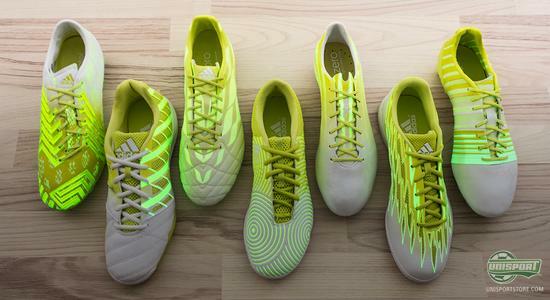 The Glow in the Dark effect on adidas’ Hunt Series isn’t exactly the most relevant technology on a fully illuminated football pitch. This was however never the thought behind the Hunt Series, it was never meant for players to use on large floodlit stadiums. Instead the Hunt Series is directed at those, who don’t have the luxury of playing on these types of pitches. 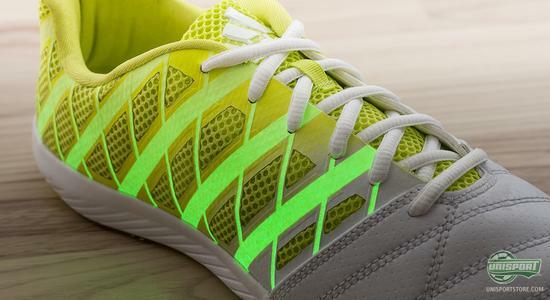 Light up the pitches with the Free Football Hunt Series – Prices start at 71 euro. And here the Free Football collection really comes into its own. 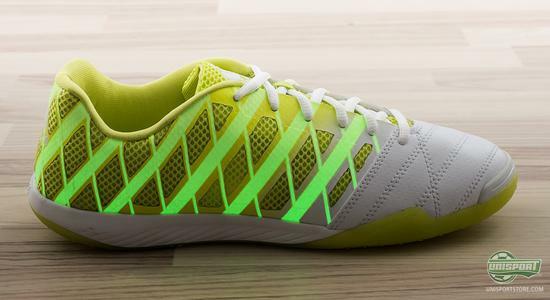 These shoes are targeted at the less formal and more relaxed environments around, like backyard street games, where the light isn’t necessarily just as good. 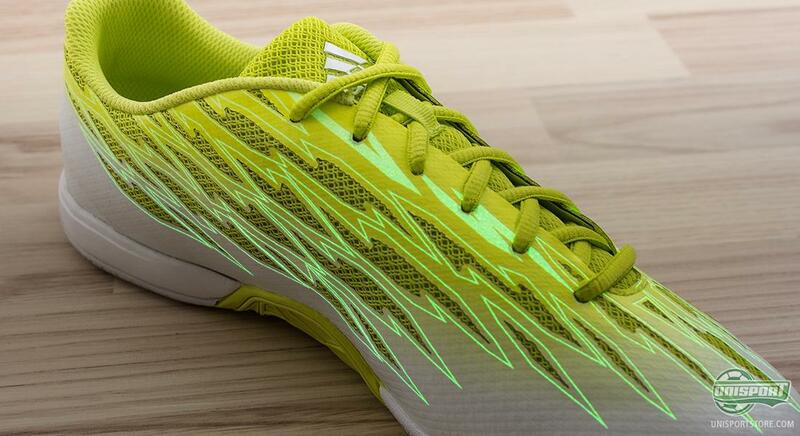 That is why it seemed only natural for adidas to expand their glow in the dark series, by also applying it to their SpeedTrick, TopSala and ControlSala. 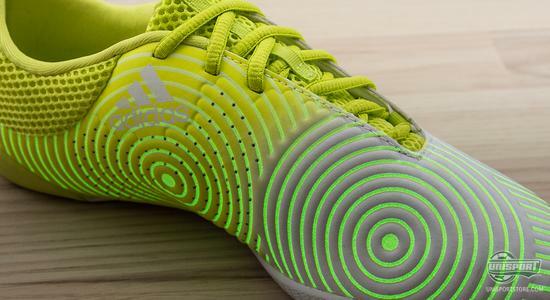 The shoes are made to work both on indoor surfaces, as well as concrete. Therefore the shoes are designed with an especially comfortable EVA sole, which ensures the very best shock-absorbency on the harder surfaces. 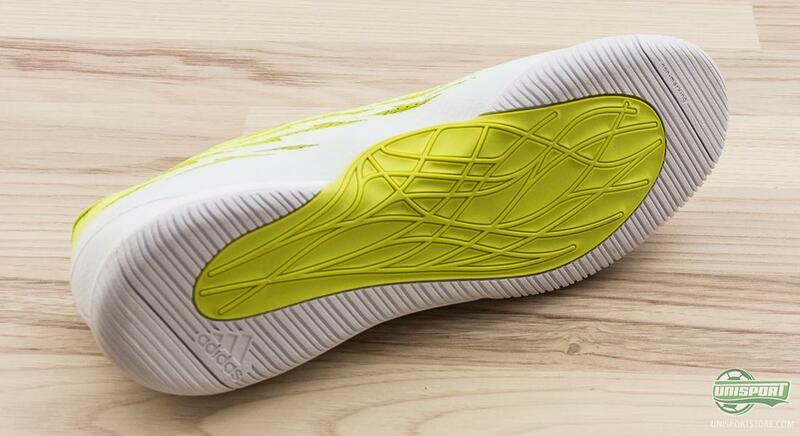 At the same time each shoe is made with an individually different upper, so they cover different needs. Get the glow in the dark Hunt Series design on your Free Football shoes – Prices start at 71 euro. 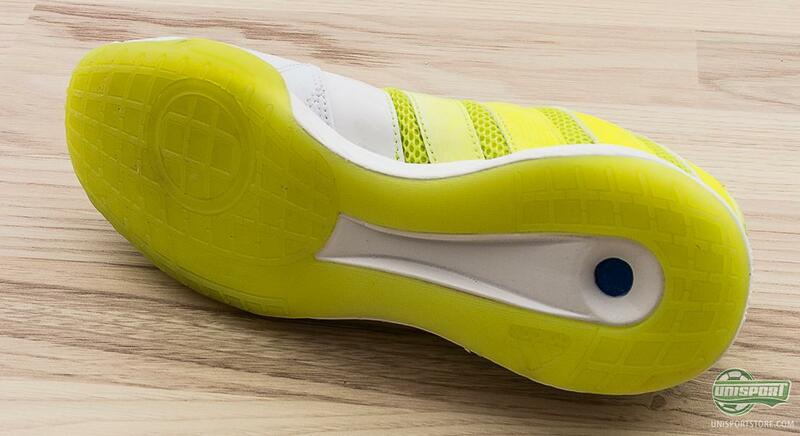 TopSala is made with HybridTouch, which makes the shoe very durable. This means this is probably the model that would be best suited for use on street pitches and other rougher surfaces. ControlSala is, as the name implies, mainly for players who really master the technical game and use it to run the show. This upper is made with a special 3D texture, which results in a unique touch and feel with the ball. Too add to this adidas have now introduced the cool glow in the dark effect, in the same pattern as the texture, which gives the shoe a really cool look in the dark. SpeedTrick masters the combination of comfort and speed. 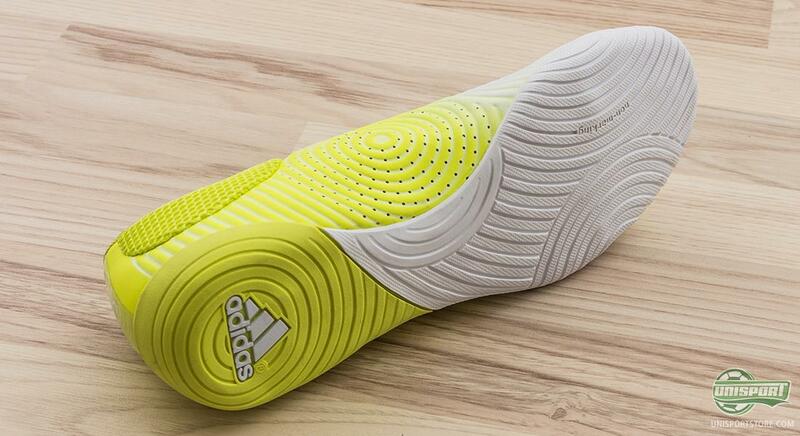 Made with lightweight material that really manage to accommodate the speed aspects of the game. The upper also allows for the incorporation of mesh material, so you get maximal ventilation in them. If you have fallen for the unique design, then you can find the Hunt Series right here – prices start at €71. The glow in the dark effect really comes into its own on these adidas Free Football collection, which now also come in a Hunt Series design. 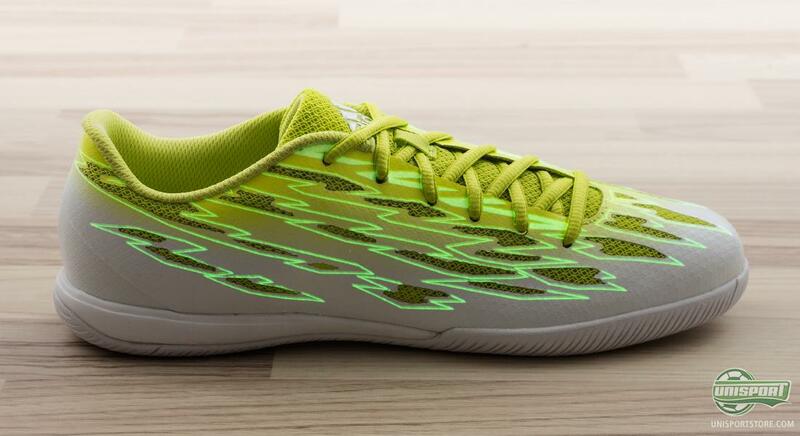 Like with adidas’ four silo’s these also have their own personal and unique glow in the dark pattern. Which of them do you like the best?